It seems I am going to busy for the next few weeks. 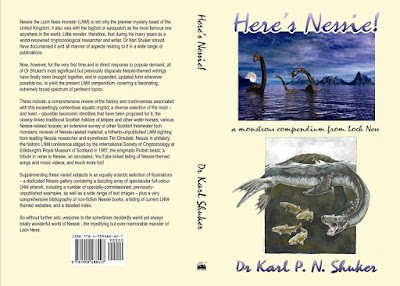 No sooner have I just publicised Malcolm Robinson's book, "The Monsters of Loch Ness", than Karl Shuker's book, "Here's Nessie!" is about to be published too! Here is the front and back covers for your enticement. You wait ages for one Nessie book and all of a sudden two turn up! Malcolm Robinson's "The Monsters of Loch Ness" is now out and he has put out his own details below. I have already bought the Kindle edition for ease of searching but will also buy the paperback for the library shelves (do people do hardback now)? I will review in due course. 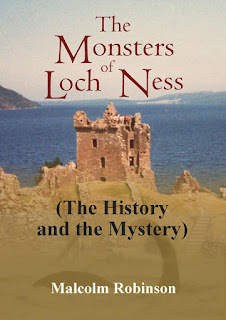 The Monsters of Loch Ness (The History and the Mystery) is NOW available to buy and download. I’m very proud of this book folks, it’s been in the offering since I was at least 15 and now it’s finally seen the light of day. OK folks I’m pleased to say that I can now give you information on how to obtain a copy of my new book, The Monsters of Loch Ness, (The History and the Mystery) You have three options. 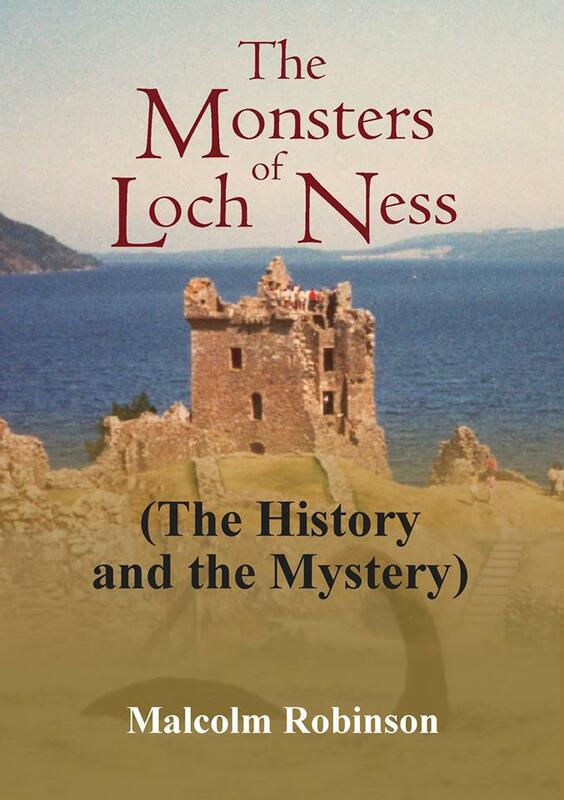 OK boys and girls some of you have asked me to sign you a copy of my new book The Monsters of Loch Ness (The History and the Mystery) If you were to order direct from the publisher then of course it wouldn’t be signed. The only way to do this is for you to pay me, I’ll order the book at this end, sign it for you, and send it straight off to you. Job done. 2) Send your cheque and who you would like the book signed to (if it’s not you let me know who to sign it to) and send to. Malcolm Robinson (Books) Flat 5, Unicorn House, Croft Road, Hastings, East Sussex, England, TN34 3HE. It’s as simple as that over to you. E-mail me at malckyspi@yahoo.com if you want a signed copy.